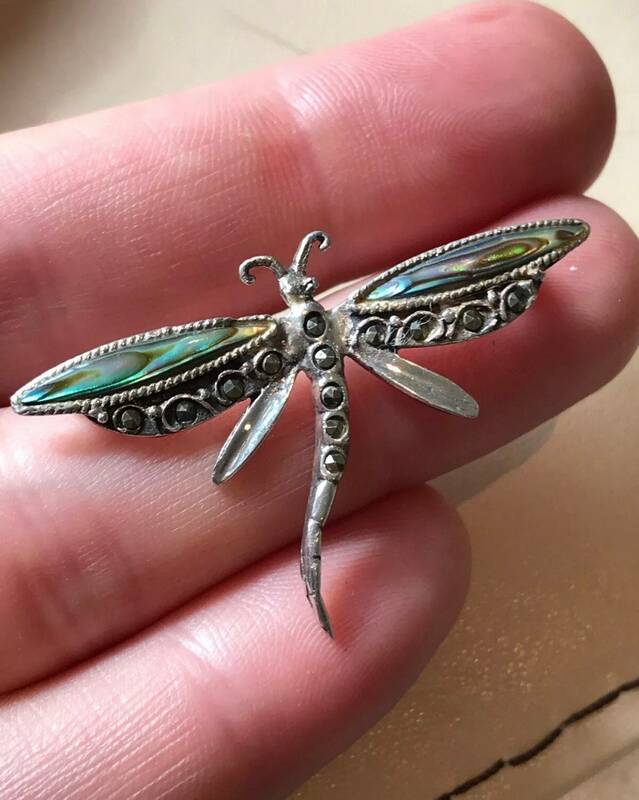 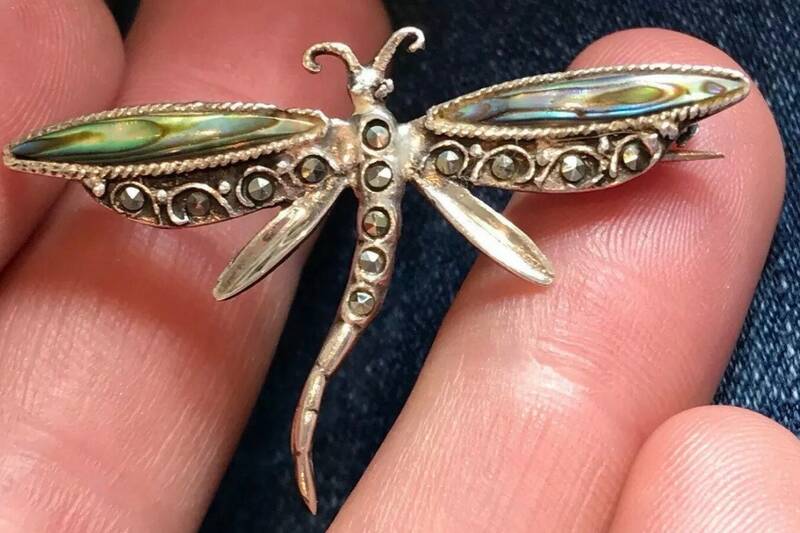 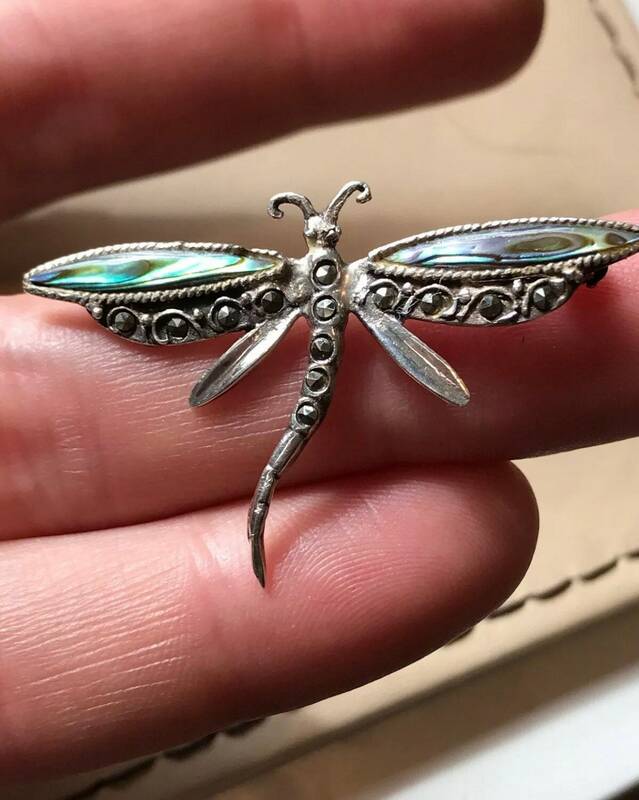 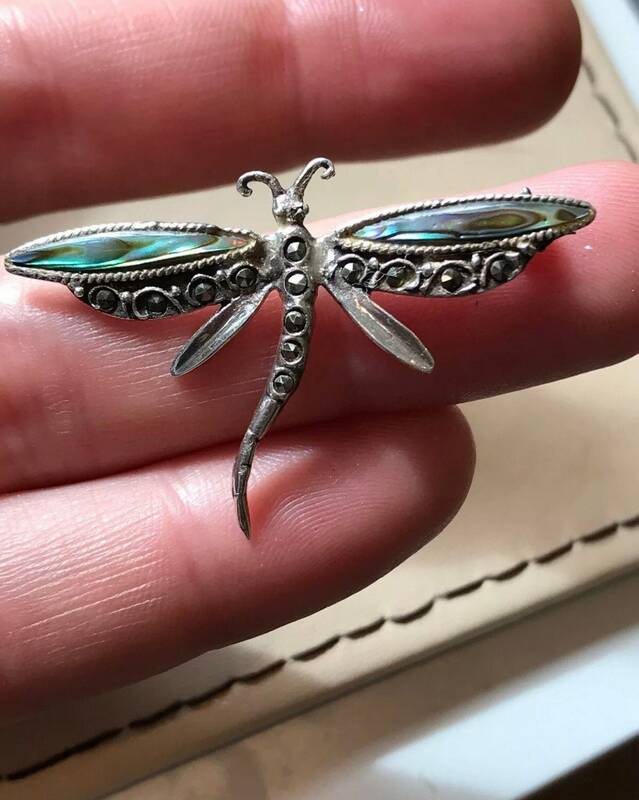 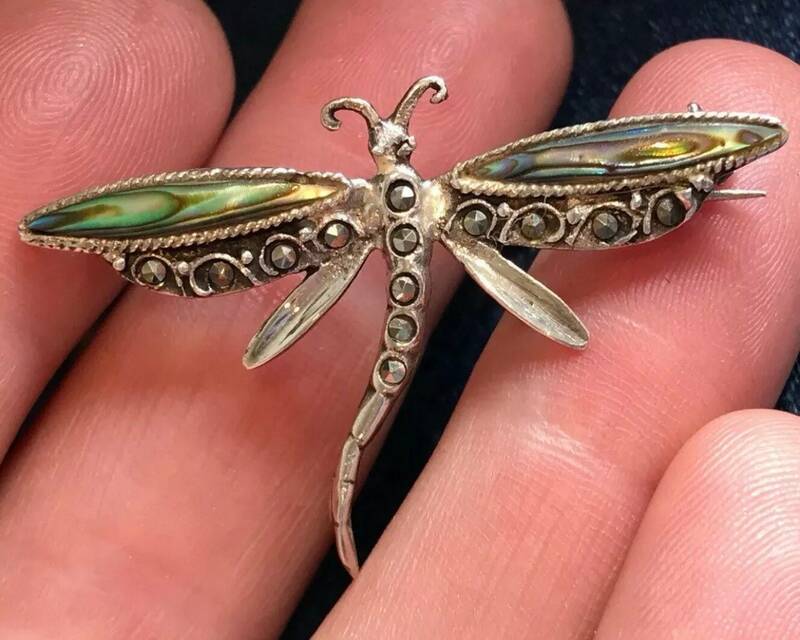 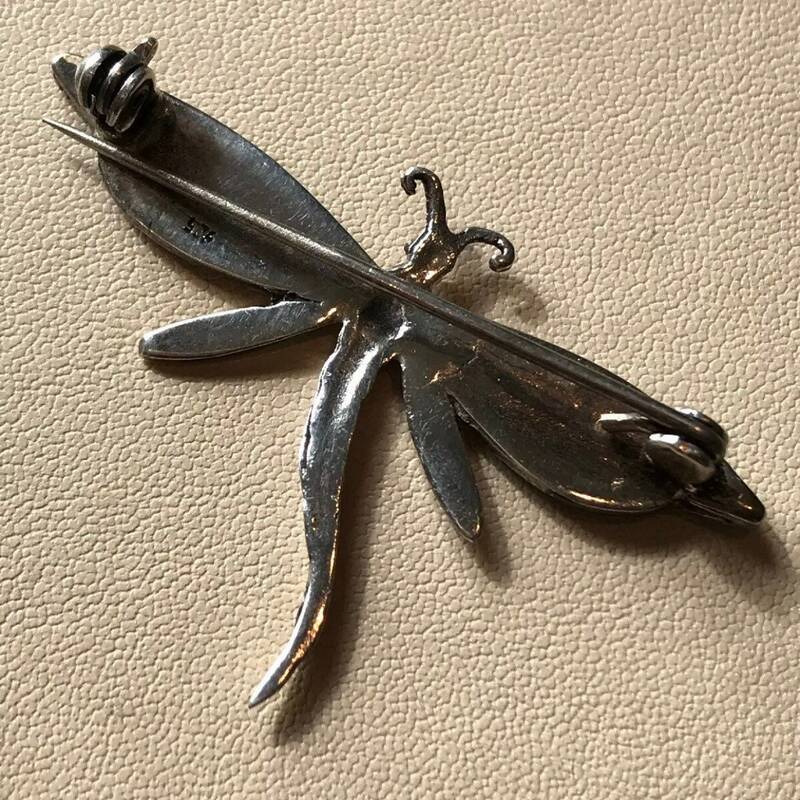 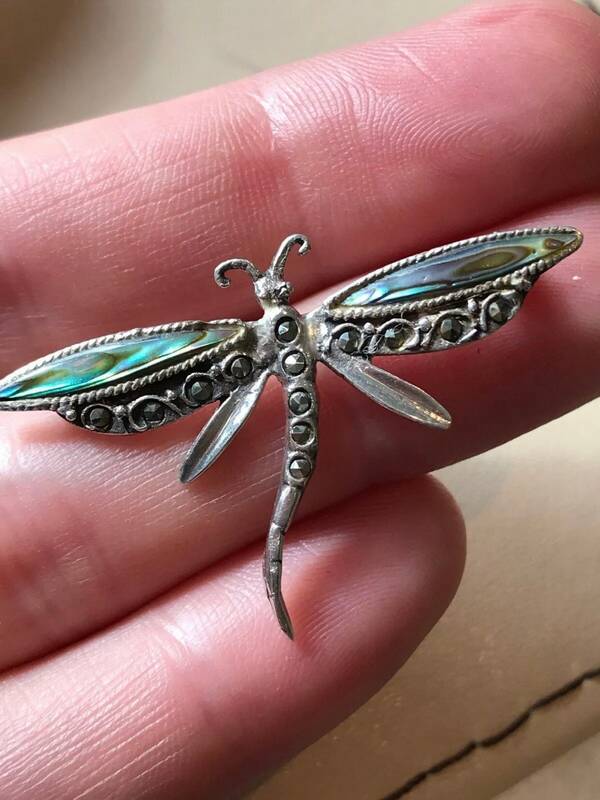 Here is a vintage solid Silver Dragonfly Brooch Set with Abalone shell and Marcasite. 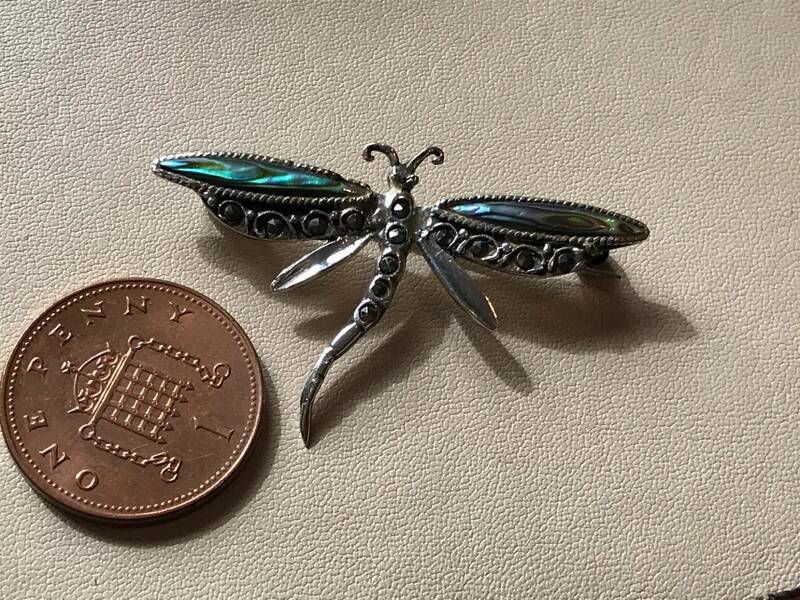 It measures 4cm by 3cm in width and weighs 3 grams. 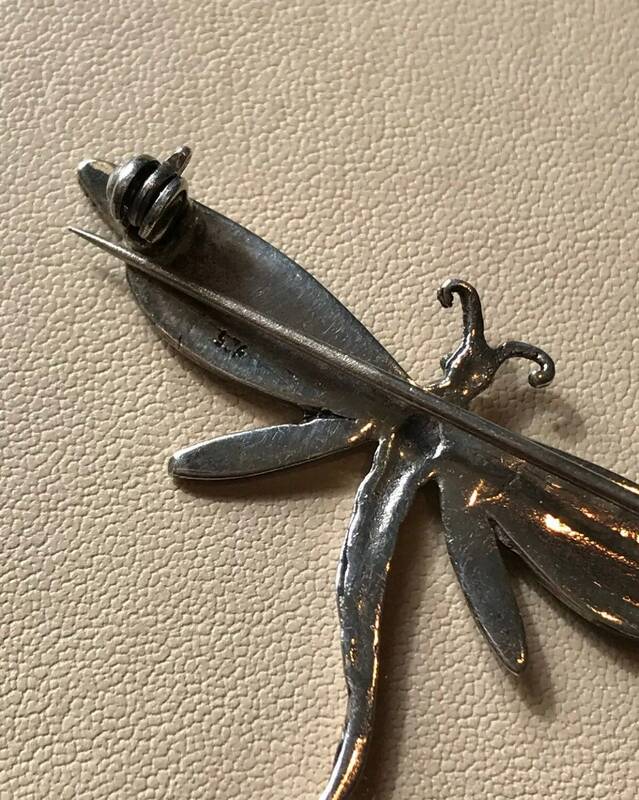 The brooch is marked 925 for silver. 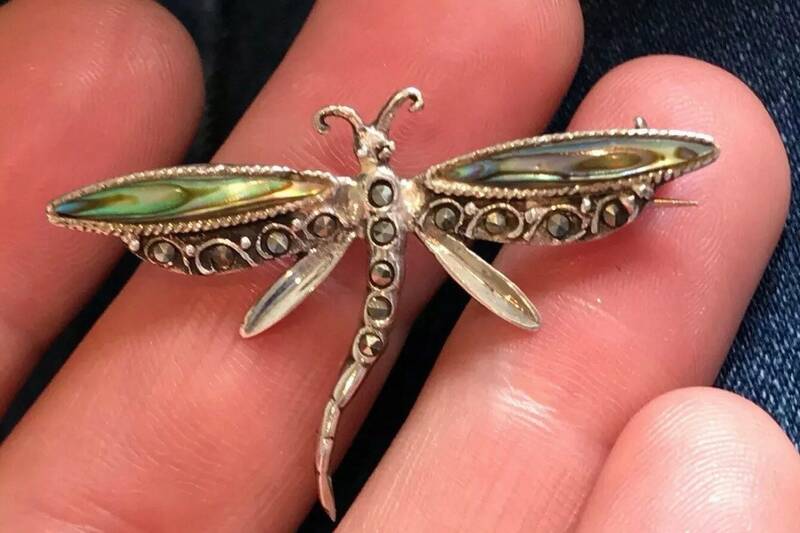 It remains in great condition with no damage.